The ISI WSC 2019 offers organisation an opportunity to stage a spectacular presence to the congress delegates and statistical community in the world. There are 2 types of specially designed exhibition booth to best suit individual organisation’s needs and budget, i.e. Standard Booth (floor area: 3m x 3m) and Premier Booth (floor area: 6m x 3m). Nevertheless, if your organisation wishes to lease a larger exhibition space than the Premier Booth or requires the exhibition space without the booth set-up, you may engage AOSCE separately. 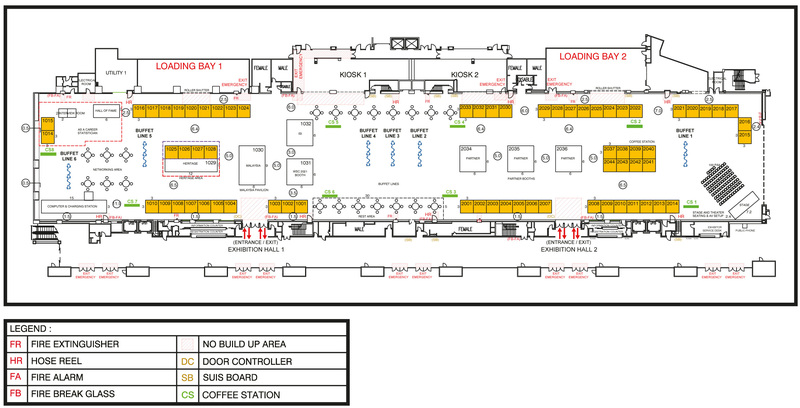 The exhibition booths will be located at the Exhibition Hall (1 & 2), Ground Floor, East Wing of Kuala Lumpur Convention Centre. You can expect the exhibition to be well visited by all delegates as refreshment for breaks during the 5-day congress (morning and afternoon) will only be served at the Exhibition Hall. Other attractions which are expected to bring the delegates to converge at the Exhibition Hall include special talks, Malaysia Heritage area, computer and charging stations, and networking area. Exhibition booths designated for lease will be allocated on a first-paid first-served basis. The available exhibition space is at a minimum size of 9 square meters (3m x 3m) or multiplies of this size. For all exhibitors, the organisation’s name and information (up to 50 words) will be featured on the website and Programme Book of the ISI WSC 2019. The PCO will provide 2-free Exhibitor Badges per booth, valid from 18 to 23 August 2019. These badges grant holders access to the exhibition area and attend the Opening and Closing ceremonies. The exhibition will be open on Monday-Friday, 19 to 23 August 2019 from 9.00 a.m. to 6.00 p.m.